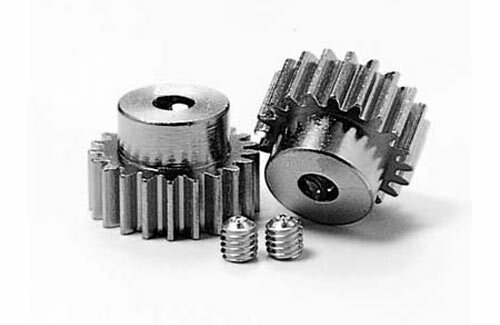 All Products > "50477 Tamiya 24 & 25 Tooth Pinion Gears"
Tamiya 24 & 25 Tooth Pinion Gears. For heightened acceleration and top speed when teamed with a fast motor. Not for use with the Stock Silver Can!